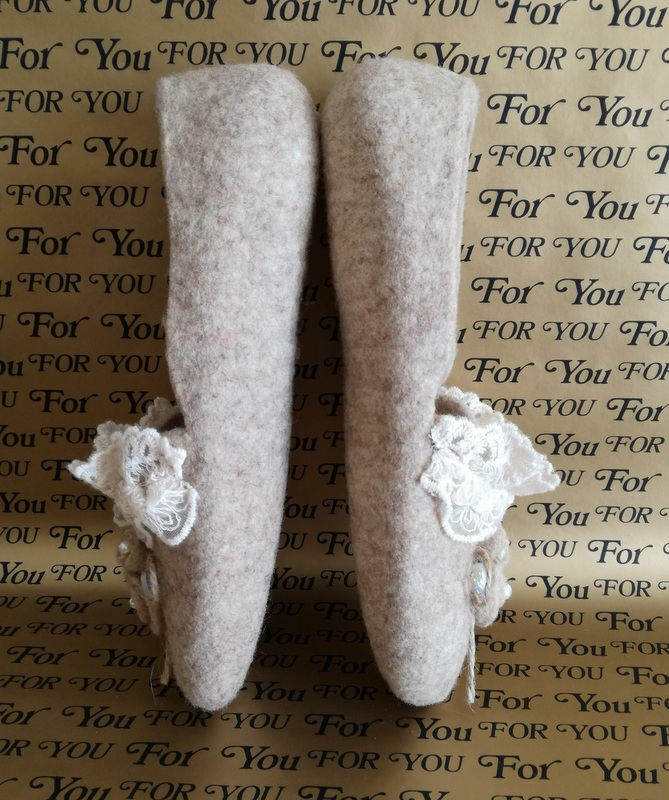 These felt slippers are made from Merino Wool. 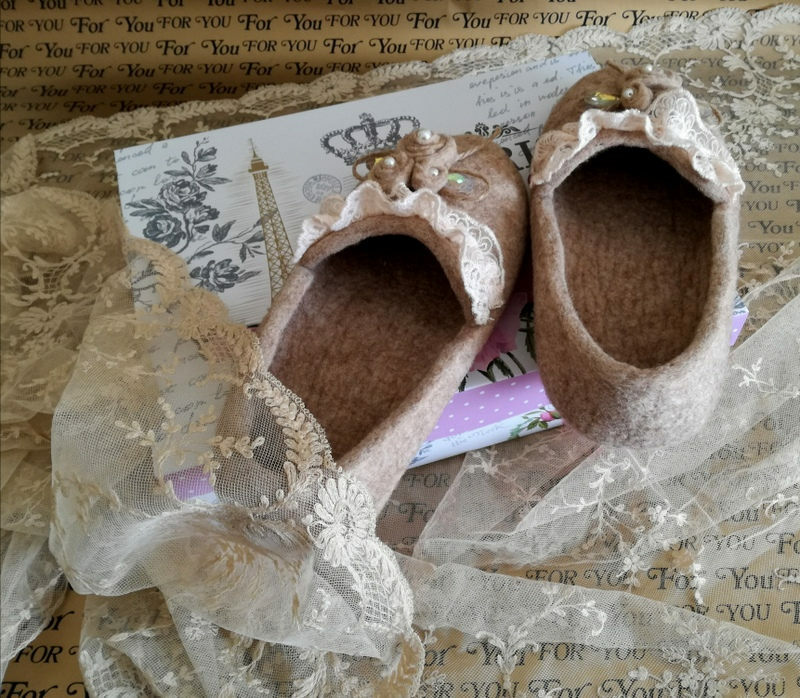 During the felting process I only use natural tools: hot water and SOAP. 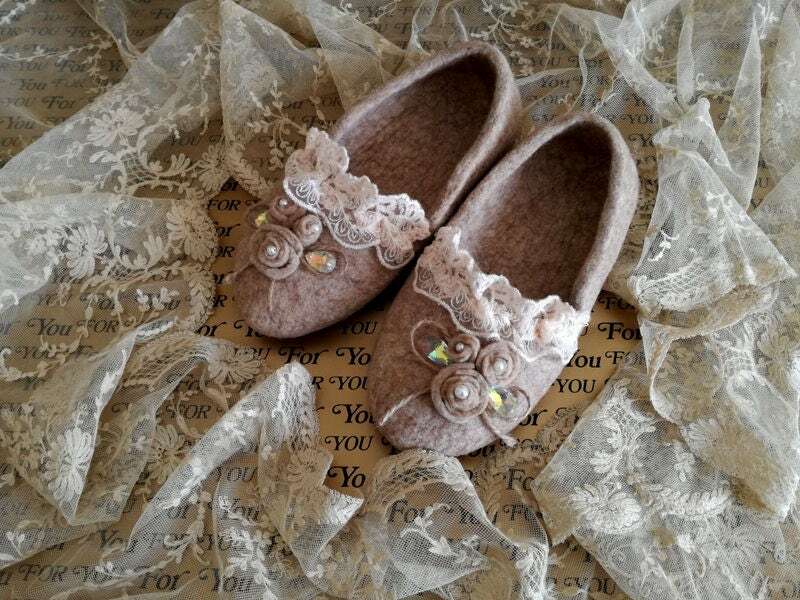 Felt slippers are perfect to be worn on the inside. 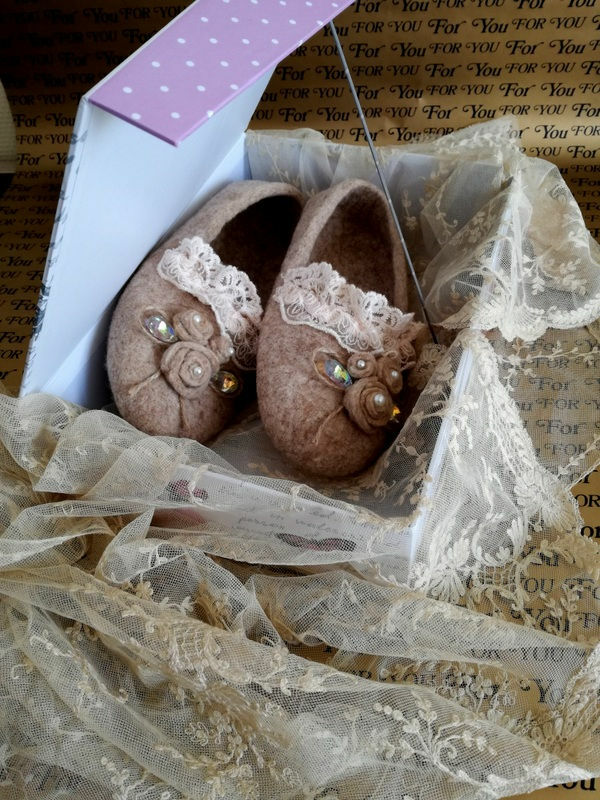 They are soft and so light, they are almost unnoticeable, as they fit like a second skin. 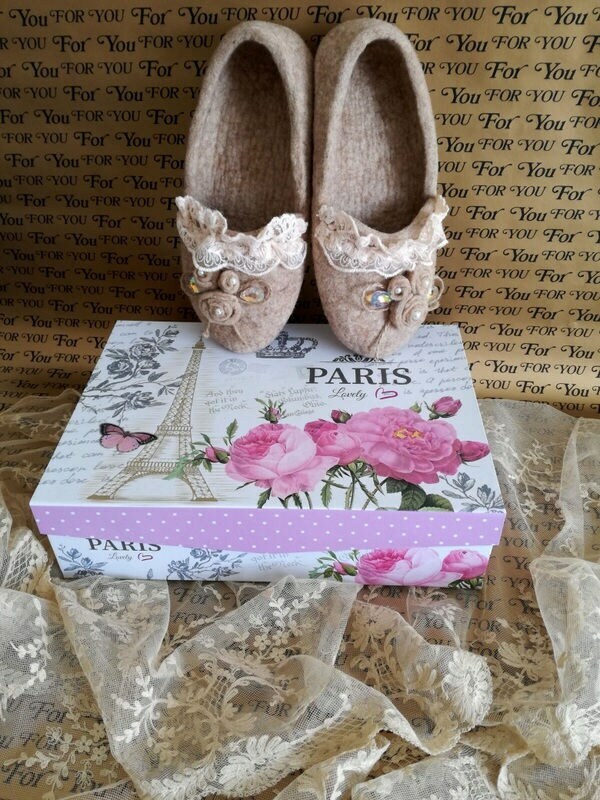 You will love these slippers due to their comfort. 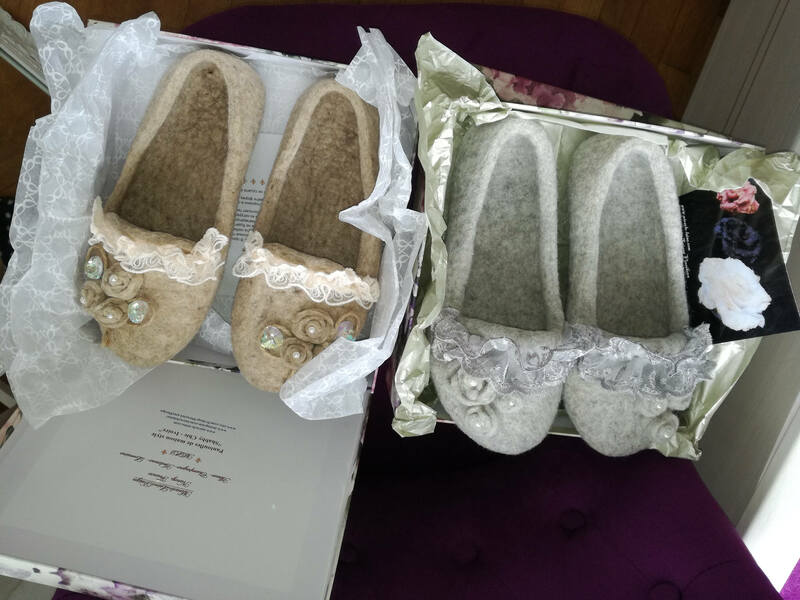 The slippers will be let your feet breathe, your feet won't get too hot or cold - natural wool slippers will keep your body temperature due to the properties of wool fiber. SIZE: your request. Measure your foot carefully before purchasing! I need accurate measurements of foot. Care: gently wash in cold water using a wool detergent. Reshape your foot and let it dry. Do not wash in hot water and do not dry in very hot.